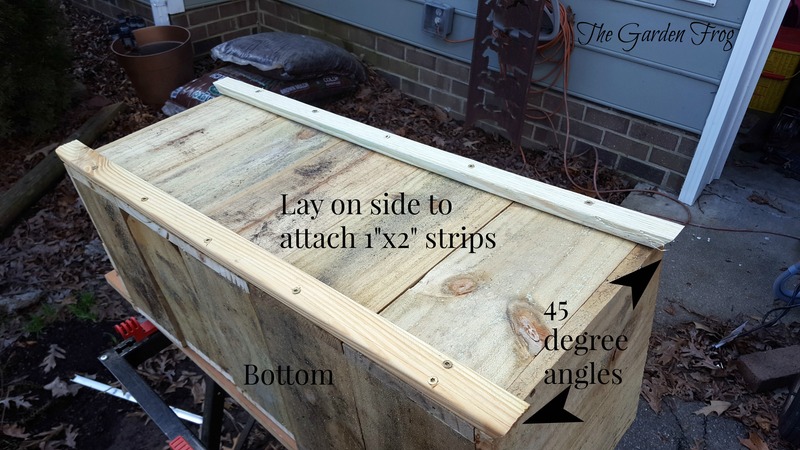 Have you seen how much planter boxes are for the garden? I have and just the other day I was walking the aisle of The Home Depot where I saw a price tag of $58! 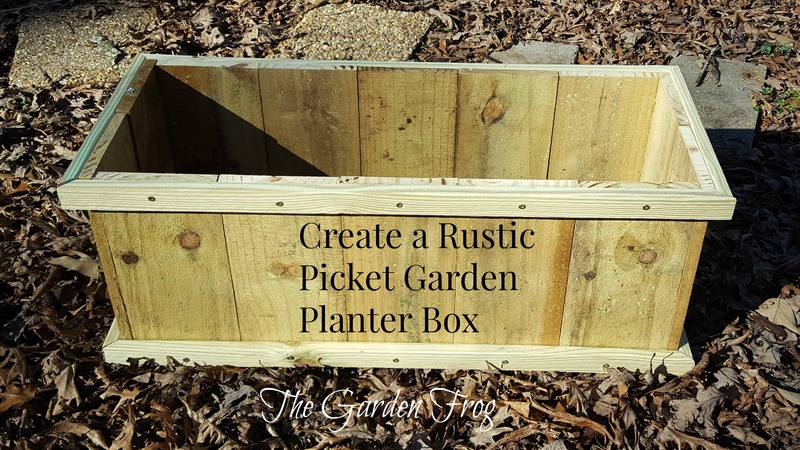 So I decided to create a rustic picket garden planter box and share my gardening project with you. 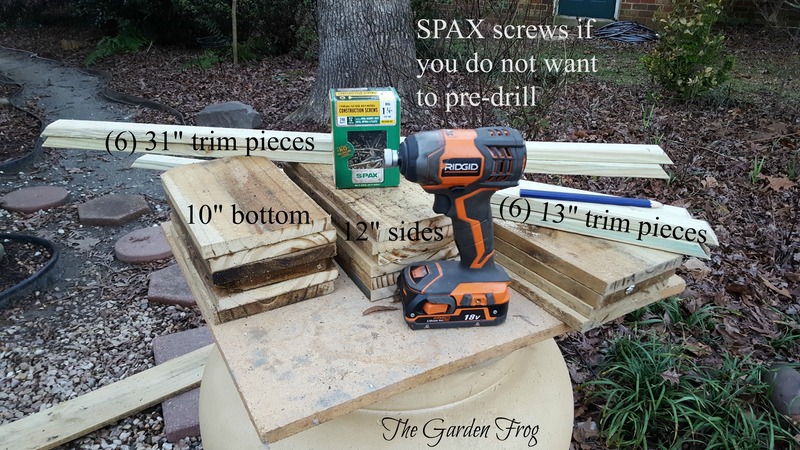 I ended up making the box roughly 31″H x 10″W x 12″ D and this could easily be made up to 36″wide with the wood purchase above. 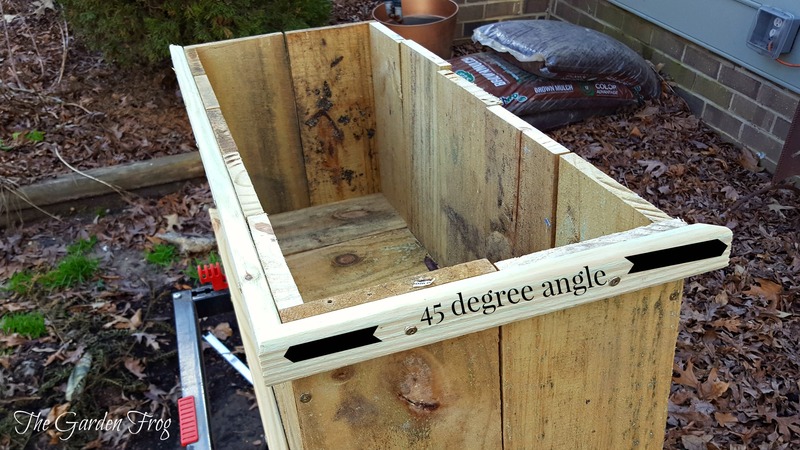 I had an oops so my box ended up being 31″ which worked out well because the box is easier to pick up and move (empty). 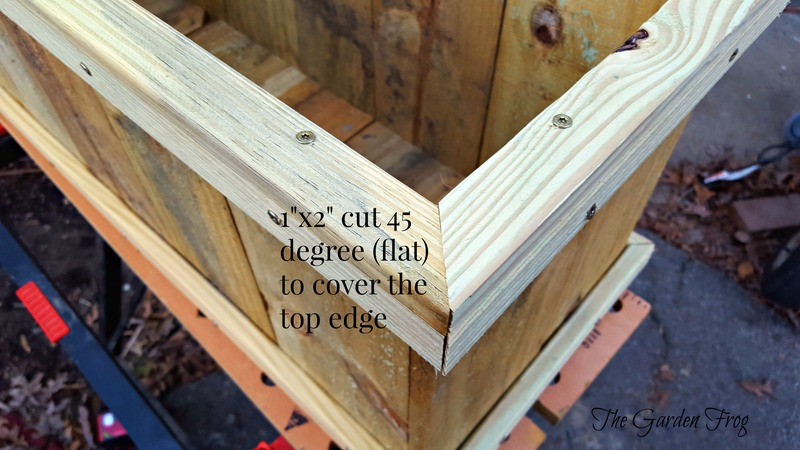 I have built square planter boxes and created concrete baskets throughout my garden. 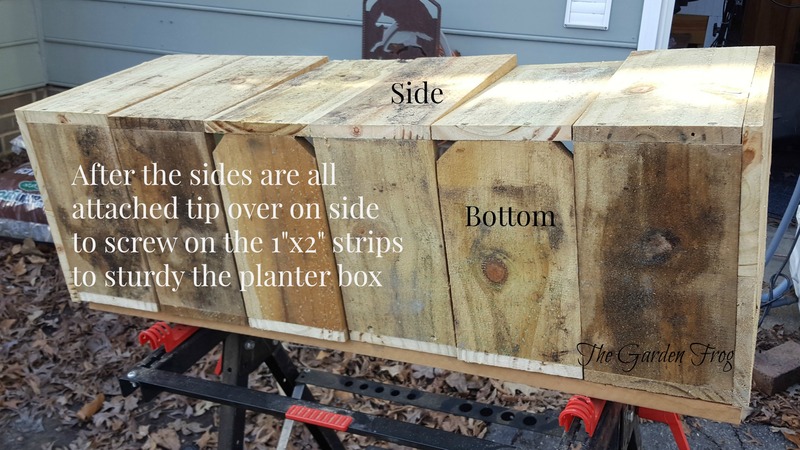 This rustic picket fence garden planter box (boy that was a mouthful) will age and the wood will become browner with age. I have built garden arbor, garden trellis, garden bridge, and tables out of these pine treated fence pickets and I love the way these pickets age (darker). 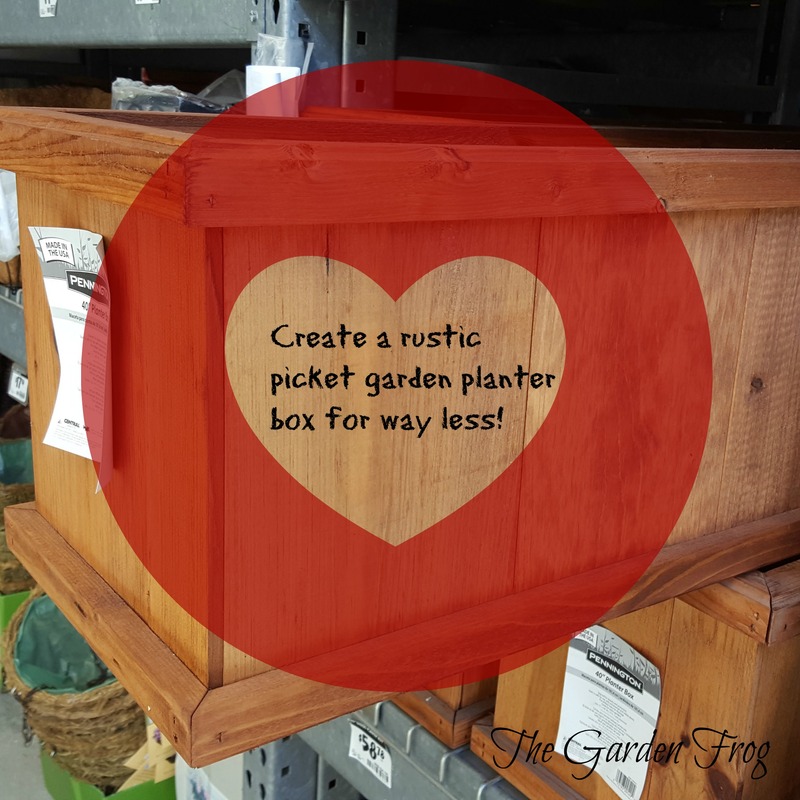 Thanks for stopping by and checking out my big box store garden planter hack. If you ever have any questions, feel free to comment below or contact me. 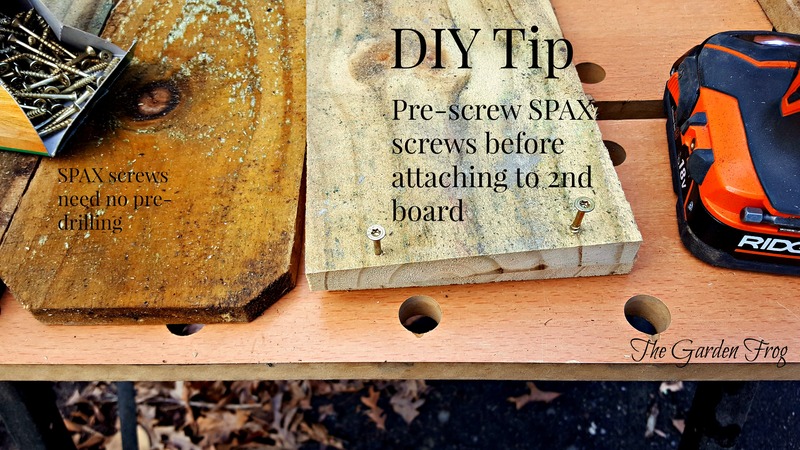 This is an easy to moderate project if you can saw a board, have a miter box, tape measure, and my favorite SPAX screws from The Home Depot which eliminates the need to pre-drill any holes. Those mixed with flowers woukd be pretty. I love hosta, and ferns. I love hosta and ferns and may build a few more for some hostas I have.